F-35 Joint Striker Fighter helmet renders the plane nearly invisible. Nice design too. This helmet looks like something straight out of a Predator movie. 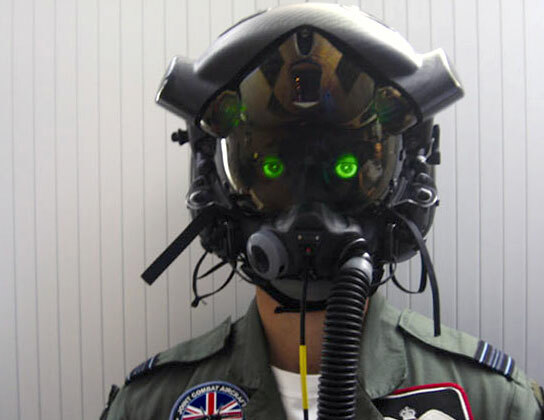 It helps the pilot of the new F-35 see through the aircraft virtually, giving them a wide field of view ahead and superimposing an Infrared image of the world below onto their visors at night. Next Next post: glue win Creative Agency of the Year; and Get The Message wins 3 awards at this years IMA.